I entered my birthdate and was told sorry I can't see the website at this time. I would of thought being born in 1987 would make me capable of being able to view a website but apprently not. This is also happening with me too. Maybe the website is incomplete or something? Whatever it is, it's got a rating. Maybe it's in a database somewhere then? I was just going to ask when we were going to hear about this new Duke episode. YEAH BABY, 8 DAYS! HELL YEAH, COME GET SOME!!!! Its gotta be the new episode/source port or whatever they were working on. Best case scenario, its that, and a reveal of a new THIRD PARTY Duke game. It does seem a little too early to announce a new game though, it was only last year Randy was talking about letting a third party create a game, right? Duke's getting in a big flame war with Randy on Twitter! I entered January 1 1901 as my birthdate and I get the same result - a clear case of age discrimination I'd say. 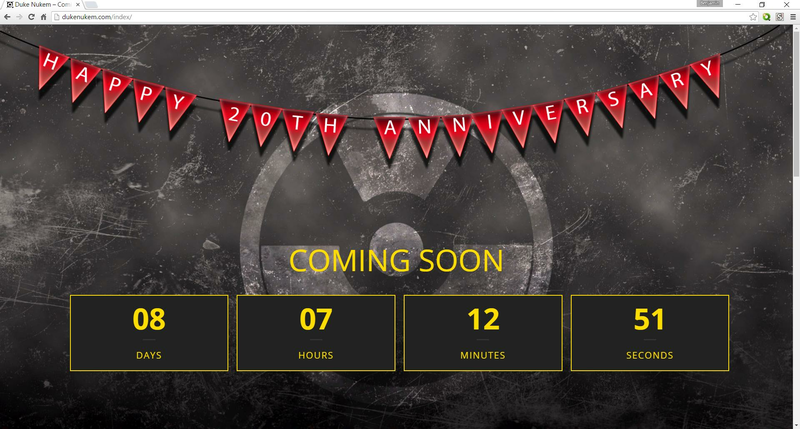 That "happy 20th anniversary" celebration is a bit tardy, BTW. I would joined in the tweet war and call Randy a sand sucking twit, just for shits and giggles, but I know randy he block me asap if I did it. The countdown ends during PAX West. Specifically at 5 p.m. PT on Friday, Sept. 2, which happens to be when Gearbox’s PAX West 2016 panel, "Inside Gearbox Software," ends. Hopefully it won't be an attendee-exclusive reveal like in 2010! What I'm expecting is that we get an announcement about this new DN3D thing they are doing. What I'm hoping for is some kind of announcement that the DN3D episode is a teaser for something more ambitious - a real, modern FPS Duke game. I'm guessing since "Hail to the King" is listed as a trademark, I'd assume we're going to see TerminX' Hail to the King Collection finally be released? ROFL I want to see this so badly. If its the first choice it will sure take the wind out of the sails of the project I'm part of right now. Well I'm glad to see they're making a big deal out of this Duke3D release. 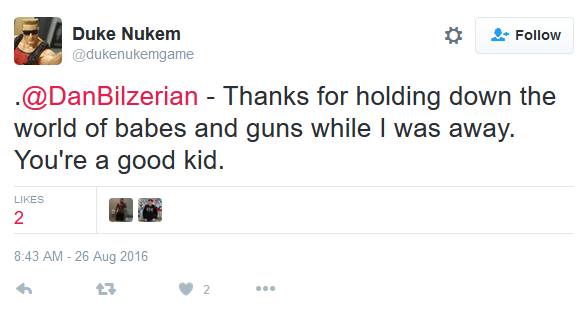 I hope they throw in some secret screen shots to Duke5, like how the 360 port of Duke3D had secret shots of Forever. I just hope they got rid of Bazinga. 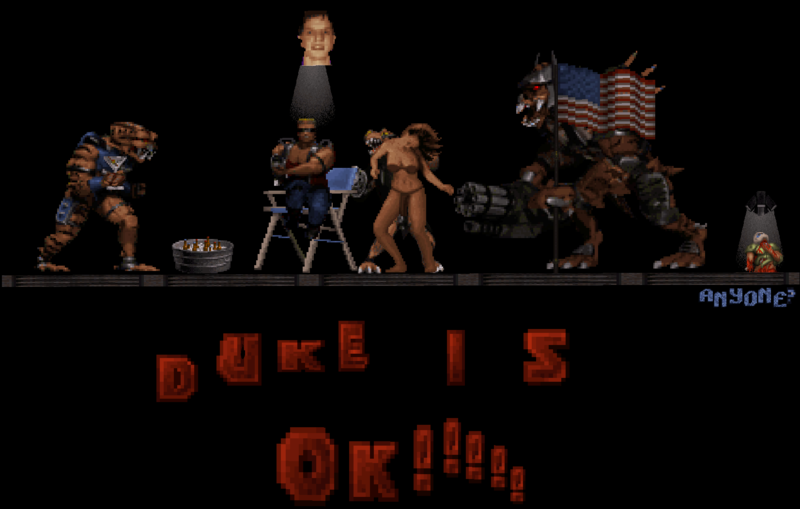 Well, here's hoping for a good re-release and new duke game! 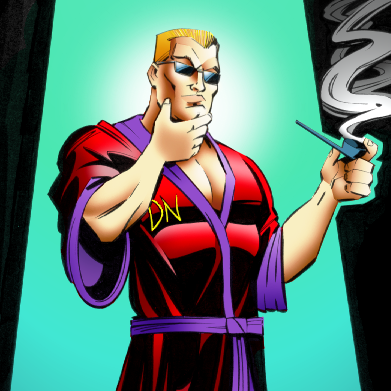 You know, I am just happy that there are some news about Duke Nukem. Duke can say "I'll disarm you and punch you in the shoulder!" because Shitbox will make sure no one gets offended. I'm always pumped for some Duke news, baby! Agreed with what yall have said so far, I'd be happy to see some of that new episode of Duke 3D we've heard rumored. And if they want to drop a teaser for the next full Duke game (even if it's years away), that's good with me too. It's tradition.